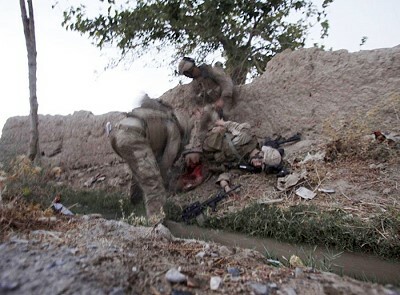 Was publishing photo of wounded US Marine irresponsible? Published on September 6, 2009 in International, USA and Violence. 6 Comments Tags: Abuse, Barack Obama, USA, War. Published on July 19, 2009 in Africa, International and USA. 3 Comments Tags: Africa, Barack Obama, Stephen Gowans, USA. Published on May 3, 2009 in 5th Summit, International and USA. Closed Tags: Barack Obama, Cuba, Daniel Ortega, Fidel Castro, Fifth Summit of the Americas, T&T Govt, USA, Venezuela. Speech by His Excellency Honourable Daniel Ortega Saavedra, President of Nicaragua, on April 17 2009, during the Opening Ceremonies of the Fifth Summit of the Americas in Trinidad and Tobago. Published on April 26, 2009 in 5th Summit, Complaints, International, Politics and Tourism. 10 Comments Tags: Barack Obama, Cuba, Fidel Castro, Fifth Summit of the Americas, Latin America, Patrick Manning, Raffique Shah, T&T Govt, USA, Venezuela. PRIME Minister Patrick Manning seems surprised that so many people are angry over this country hosting the Fifth Summit of the Americas. I wrote a few weeks ago that having committed the country to the summit when he did, he no doubt thought that we could afford that $500 million or whatever the real cost was. He must have felt, too, that just having all hemispheric Heads of Government here would boost his image as a the premier Caribbean leader. I do not dispute his reasoning that the country would benefit from world recognition, only because it was billed as the battleground between Presidents Obama and Chavez. Published on April 24, 2009 in 5th Summit, CARICOM, Finance and USA. 1 Comment Tags: America, Barack Obama, CARICOM, Cuba, Fifth Summit of the Americas, Latin America, Patrick Manning, Politics, Stephen Kangal, T&T Govt, USA. The hosting of the recently concluded Fifth Summit of the Americas was portrayed as a CARICOM initiative and, as usual, T&T bore the full costs involved. I am very disturbed that T&T/CARICOM did not act collectively in an effective manner to maximize returns on T&T’s huge and staggering investment. The CARICOM meeting that was scheduled for Thursday 16 April was not held. No effort was made to concretize a CARICOM strategy at the Inter-Sessional Meeting of the Heads of Government held in Belize prior to the Summit. Published on April 23, 2009 in 5th Summit, Caribbean, International, Politics and USA. Closed Tags: Barack Obama, Daniel Ortega, Fidel Castro, Fifth Summit of the Americas, Hugo Chávez, Latin America, Politics, T&T Govt, USA. Some of the things that Daniel told me would be hard to believe if it was not him who told me them and it was not at a Summit of the Americas where they occurred. The unusual thing is that there was no such consensus on the final document. The ALBA group did not sign it; that was confirmed in the last exchange with Obama in the presence of Manning and the other leaders in the morning of April 19.